Dying to own a Vita TV so you can play Vita games on your giant flat screen TV? Well, before you shell out the big bucks to import one, there are some things about the Vita TV you should probably know. As I booted up the Vita TV for the first time, everything looked exactly like it did when I was setting up the handheld Vita for the first time. I chose my language (English), entered my location (Tokyo), and set the clock. Then it was time to put in my PSN account info, so I put in my US PSN login and got the message you see above. 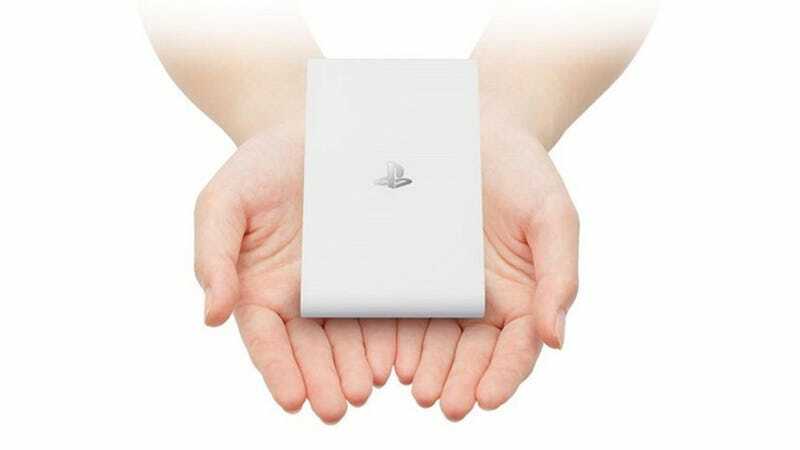 Currently, only Japanese accounts will work with the Vita TV. Therefore, any games you have digital copies of from a Western account will not work on the Japanese Vita TV. This does not appear to be a region lock, however. Rather it looks like Vita TV to PSN compatibility has only been launched in Japan so far. This will, of course, change to include more countries when the Vita TV is released in other Asian countries early next year. The picture above shows the message I got when I tried to play my Japanese copy of Sumioni: Demon Arts. Simply put, if the game you want to play is not on the Vita TV compatibility list (Japanese), the Vita TV will not play it. That said, I tested to see if a North American region game that was on the list, namely Lumines Electronic Symphony, would run on the Japanese Vita TV. It does and I was able to play it perfectly. The thing I most worried about when buying a Vita TV was that it doesn't have a touch screen. As most games on the Vita use the touch screen in one form or another, I was dreading the idea that all those games would be rendered unplayable. However, that is not the case. The games that require touch controls are able to use Vita TV’s virtual touch screen—though many have to be patched to do so (with a patch you are automatically told to download before you play). Then, after turning on the virtual touch screen in the Vita TV’s options menu, pressing R3 or L3 turns the thumbsticks into mouse pointers which you can use to “touch” the screen (much like how the pointers work in Dragon’s Crown on the PS3). Pressing R3 gives you two pointers for the front panel, L3 gives two for the back, and both R3 and L3 at the same time gives you two cursors pressing front and back at the same time. While the selection of Vita games the Vita TV can play at launch is rather limited, it is capable of playing every PSP and original PlayStation game that is currently available in the Japanese PSN store [Edit] that is currently playable on a handheld Vita. This means there are thousands of games playable on this tiny little box for your retro enjoyment. Well, I hope this has clued you in to some of the innovations and limitations of the Vita TV and how it works. If you have any questions, I’ll do my best to answer them in the comments below. Stay tuned to Kotaku East for our full Vita TV impressions coming next week.